In my current project we have a number of Visual Studio projects distributed into several solutions. In our case all solutions files are located in the same (root) folder. 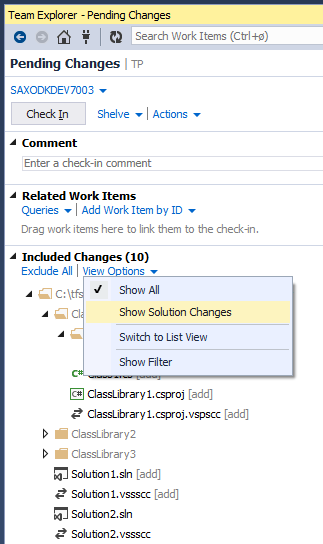 Now, if I choose to check in pending changes at the solution level in one solution, the included changes will unexpectedly include changes for all solutions in the root folder. Similarly, and even worse, if I choose to undo the pending changes at the solution level in one solution, the list of changes to be undone will actually include changes made to the other solutions as well.